Quick update: I'm still having some trouble tracking as I was able to get a 0% APR offer which helps, but I'm having to redo everything. I had four cards, now 2 and I will just focus on one (besides the minimum on the other). That keeps things simple. I only made one tiny payment to one portion of my loans, it was vacation month so only the minimums were accounted for haha 😝 Still looking for a new job so I can afford more than my regular bills. Haven't forgotten about this here smackdown!! Lavender Wrench (c4ac2d9a76bd) good job! hang in there! I hope you find steady work soon. February check in! Hope everyone is doing well. We are smacking $556 on debt this month, completely clearing one credit card!!! Have reached 30% of my goal for the year! Now only a low interest card and a no-interest account is left from last year. HOWEVER, we really needed a new computer, our old one was too old to even fix, so we took on some additional debt. However, this debt is interest free for 18 months and we have a solid payment plan in place to pay it off by the end of the year. I am writing to you from our fancy new beast and she's a beauty! Even though it may seem I didn't drop the debt a lot, when I checked in in January I already reduced it a lot, and this month will be way better. In total, I paid over US$1,000 in january. And this february will be even better based on the current workload I have. I'll update by the end of this month next. Total Feb Payments: 724.83 (most already allocated, two waiting for 2nd half of month. Ok, this makes me feel better, strangely, even though the total amount is bigger. It's because I can see it all more clearly in one place, and I see what I'm doing, And in April, our separate monthly orthodontia bill *should* be finished (crosses fingers) so I can really finish smacking the last credit card with that extra $200/month. Looks like we will have everything paid off at the end of November! How exciting! Navy Blue Unicorn and second to last interest-bearing credit card is paid off! payment cleared bank and ynab. muppetflail!!!! Navy Blue Unicorn OK, and just to keep my momentum up, I scrounged from some overbugeted categories and made an extra payment on our last interest-bearing credit card! Total for February will be over $800! Checking in for February. So far I have lowered my debt $269.61. One of the personal loans was to a friend that told me that it was a birthday present and I did not have to pay her back. Another update on the same day! Just as I said, this month will be great for my debt slaying plan. I just got a payment for a job I did, and was able to clear out one of the credit card balances (3 more to go). Everytime I see this number go down, I get more pumped toward slaying more debt! My plan is this... I live a little bit further from downtown that I would really like and I currently have a roommate. Rather than move to a 1-bedroom downtown, I'm going to take the difference between what I would spend in rent there and what I actually pay in rent and put it toward extra payment on the loans. I calculated that I could pay my loans off 12-13 years faster if I just sucked it up for a bit longer. Optimizing spending, one purchase at a time. My wife and I are finally going to crush that student debt! At the beginning of the year, we had $6061.36 left in our student loans. Our goal is to have that number crushed by November at the latest (shooting for September!). Frugalitarian yay!!! you can do it! We were able to pay down a large chunk in January, but then installed a fence for our dogs, so that added some debt back on to the HELOC. We were still able to pay off our smallest credit card, though, as well as put $1000 towards our camper loan. This month I'm using my tax return to pay off my next credit card, at $3220. Then we will have only $1000 balance on the camper loan, and about $7500 on the HELOC. January (and early February) Update Time! In total I've paid $1,435.00 between Jan and Feb. Including interest adjustments, this is a net decrease of 0.98%. While this is not a huge amount, I have more news to share that will drastically change the challenge for me this year!! 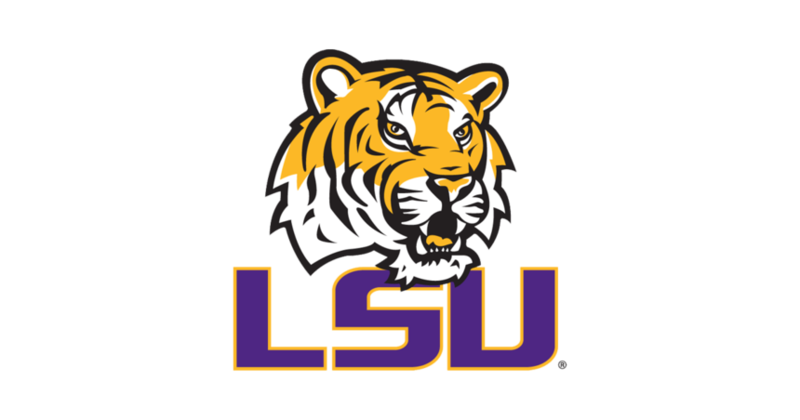 I have been accepted to LSU's graduate school and will be starting on March 2nd. I plan on cash-flowing this degree as much as possible and putting my current loans in deferment and paying as much as I can manage on both the loans and the school program itself. I know that it will set me back overall, but I'm excited to start school again and be studying something that I really care about! Higher education leadership and research. Better late than never! NO SHAME! My goal is to pay down $10,000 of debt (credit card and student loans) this year. Now, onto updating the spreadsheet!! Slate Blue Zebra No shame!! Glad you are here. I've been using my credit card a bit this month for budgeted spending and when I transfer money to the card I round it up to the nearest 5 or 10 dollars. It's not huge amounts but every bit helps. I also had Dec/Jan spending to pay off. That has all added up to $1,302 paid so far this month. Currently owe $10,303. Seeing 10 at the start of that number is the best 😀. I've been meaning to jump in since I saw the unofficial thread pop up. I'm glad that the challenge remains open to those of us who waited to look our totals in the eye. 3. So far for 2018, I have made $675 in payments. daynavanna hooray! great start! Glad you're here! daynavanna February check-in, halfway through March. February, my total paid to all accounts was $2231.11. However, my CC total to pay off has increased, rather than come down. Today, I viewed my on-budget accounts only in the Net Worth report and it was a great visualization of a terrible trend in card usage since I stopped paying my CC in full every month. I am spending today reviewing and reflecting upon my budget to determine other areas of opportunity. Too much spending, that much is very clear to me. I'm going to have to get it in check if I actually want to get to a $0 balance by 2019. Other loan debts are paid on autopay schedule, so I will easily achieve my goals for those. daynavanna my CC is in the freezer till it’s paid off. In a bag of water so I can’t just grab it and use it in an “emergency” without a cooling off (warming up?) period. That has cut my spending on it immensely, LOL. I originally joined the Unofficial Debt Paydown 2018 topic, but it looks like all the action is here. Claimed line 107 on the sheet for my tracking. Ideally I will be able to wipe out my credit card debt... two points on that: my wife and I are going on a cruise next month, which has been all on the card. Doing my best to stay on top of any new charges that I’m adding and hopefully keep the debt level from increasing. 2nd point is a bonus is hopefully in my future. No clue on how much, but fingers crossed it will be enough to stake the heart of Count Cardracula and put the monster down once and for all! My autopay came out for February, so I'll update now. I will almost certainly have another payment before the end of the month, but we'll start with what we have. Paid another $375 today toward my overall $8200 payoff goal. 16.99% of the way there! I had to edit my debt payoff target amount on the spreadsheet to include all of our debt, including the mortgage...$193,362.00. We'll be totally debt free by December 2021. 😀 That's the good news. The not so good news is that we had to spend $2K on car repairs for my 16 year old car, had to get some plumbing work in the master bathroom, and my debit card was hacked. 😖 Needless to say, not much of a debt pay down this month. We're definitely "rolling with the punches" this month. This is the first time I've had proper CC debt (...yay..?). Total Debt Owing = $23,625.20. Student Loan - $20,448.20. I won't be tracking this amount on the spreadsheet as interest is written off as long as I live and work in my home country, this amount goes down a few grand each year and payments are automatically deducted from my salary. Credit Card 1 - $1473.09. Travel debt. Went on holiday and maxed out the card due to someone not paying me money owed. Budgeted to only have $400 debt on return but... roll with the punches, right? Credit Card 2 - $1704.00. No interest credit card. I needed a new phone badly for over a year (and I use my phones until they're dead). I didn't want to be locked into a rip-off plan so bought the phone outright on credit, no regrets on this one but hoping the next phone in the next few years will be paid in full straight away. Interest will accrue Jan of next year, this should be paid off well before then. Finished my payments for February: $4,000! I'm not used to having to be so careful with my cash (obviously, otherwise I wouldn't be in the hole I'm in!) and I gotta say, it was kind of difficult. But it felt really good to make a big dent in those debts, so I'm hopeful that I can stick with this to the end. So far this month, I've sent $2095.02 towards debt paydown! Additionally, I'm working on building up a monthly buffer, and am on track to be able to send all of next week's Feb 23rd paycheck to my March budget (hooray!). To clarify: the statements for those two CCs have already posted, and they have due dates in early March, and I have minimum-payment autopays set up for them for March 1st, so if I change nothing they'd be included in my March budget. But since the money to pay them will hit my bank account on Feb 23rd, I might go in and switch the autopays to pay right away, effectively shifting them into my Feb budget. It wouldn't be an *extra* payment, just a shift to an earlier date within the payment cycle, so if I try this out, I could always switch the payments back to the first of the month in the future, if I'm cutting things too close at the end of a month and need that extra breathing room back. Hmm. Resistant Punch Roller if the amount of interest you will save by paying them 7 days early will not be significant, you could simply increase the 1 March payment amount. This provides for the delay to make sure you aren’t crunching yourself, keeps the payment in the right month’s budget, and helps you not to over complicate things. For myself, when I over complicate is when I’m most likely to mess up and fall short, so fwiw that’s my advice. You get to decide how much interest is significant - at what cost is your peace of mind. WairereRose I just did the calculations and it looks like paying these two a week earlier each month actually is only going to save me about $1.50 in interest each month, haha, hmm. Thank you so much for the perspective, this is really helpful to think through! I think I forgot to check in last month. Oooops!!! Last month we paid $661.74 towards debt. That includes minimum payments and anything extra I could throw at it. I paid $2,500 in principal in February to my student loans so $3,900 for this year so far. Only $36,100 to go to hit my $40,000 goal! Mid-Feb Check in - my first payments of the month have left my checking account - $493 toward my debt. I changed my payments around a little this month so I'm paying less toward my 0% interest card with a farther off end date, and more toward my 0% card with a sooner end date. I think it'll be a moral boost to get that one paid off faster, even though I'm paying the same total amount monthly, I've just divided it differently.